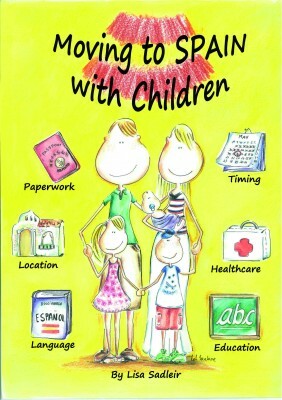 Don’t even think of Moving to Spain with Children without reading this essential self-help manual. Compiled by a successful British working Mum who has experienced the relocation roller-coaster for you, the highs, lows and occasional shrieks of panic, it could save you months of hassle and heartache. Chapters cover: Timing your Move; Choosing the Best Location; Property Purchase; Schooling; Paperwork; Learning Spanish; Healthcare; Bringing Pets to Spain; Starting a Business… …And other considerations crucial to ensuring a smooth transition to your new lifestyle. With information that’s bang up-to-date, Lisa “tells it like it is”. Spiced with the author’s own heart-warming anecdotes, you’ll arrive at the same place her own family is now – but in half the time: Living and loving family life in Spain! If you have ever wished for the gift of hindsight, “Moving to Spain with Children” is just that: a gift of a book! Moving to Spain with Children is the latest offering from Lisa Sadleir, a long-time successful expat based in Mijas, Malaga, in southern Spain. Sadleir has a hugely popular website familylifeinspain.com, to help people make the move to Spain, which can be a magnificent experience, or epic disaster, dependent on many factors. Sadleir is also an independent relocation adviser and personal property finder at ccbspain.com. This book would appeal to anyone moving to Spain, even if there are no children to consider, with practical and realistic advice. But when moving your children, so many issues need to be well planned, and I wish this book had existed when I first embarked on life in Spain. Finally, solid advice all in one place, from someone who has succeeded at Spanish life. Just take a look at Sadleir’s website and Facebook page to see success on a fantastic level!